You might have noticed a sudden influx of zippy flavours in my recipes – spring is such a transforming time of year, its difficult to not pay homage to it in your cooking – moving to fresh, bright and zingy flavours and away from comforting, warming stodge! Lemon drizzle cake must be the freshest cake around – I don’t know anyone who would turn down a slice of this sweet sherbety delight. This is a friendly version of a Mary Berry recipe which gives an unsurprisingly traditional finish – a light fluffy sponge with a crisp, sugary top layer. – In a large bowl sift together the flour, bicarbonate and salt. Stir in the sugar and lemon zest. – Pour into the tin and level off the top. 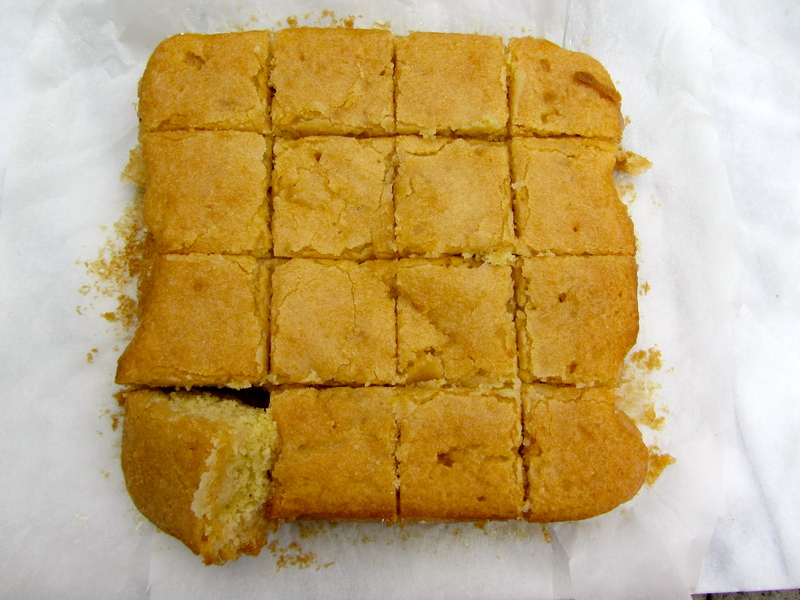 – Bake for about 30 minutes, or until a knife comes out clean. Cool in the tin. 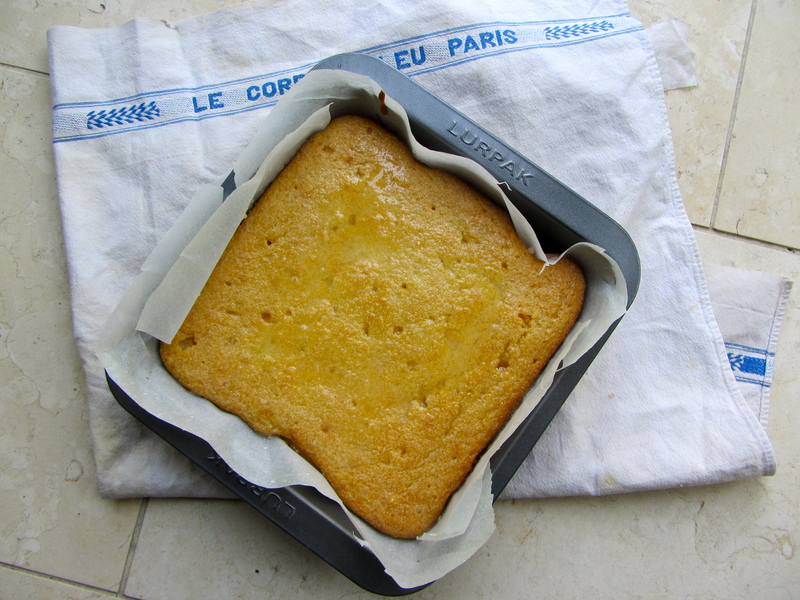 – Drizzle the lemon and sugar mix over the cake whilst it is still hot. When cool, cut into squares. Looking good. Made a lemon drizzle cake this morning too! Oh I could just have a slice of that right now! 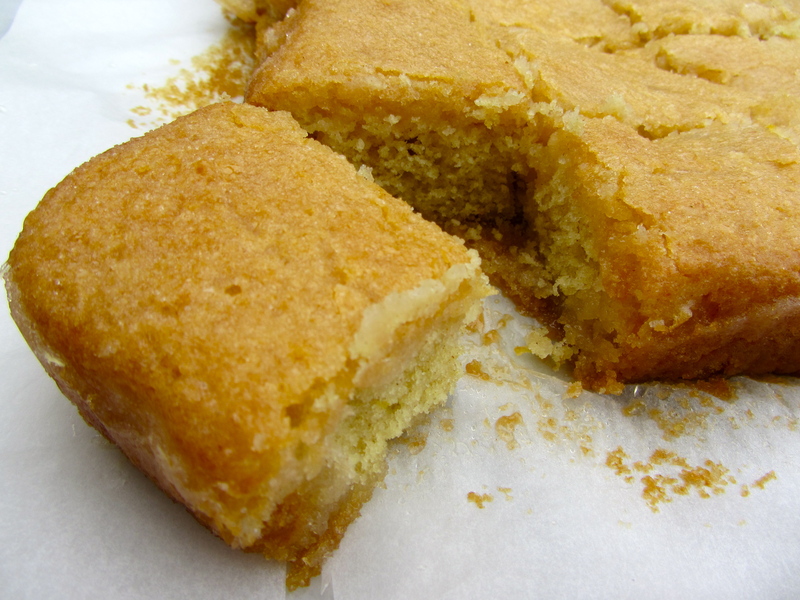 Love lemon drizzle! It’s the perfect tea-time cake!